What are we all about? Well, clean functional and website designs that work for you. Derby based, serving the UK we look forward to providing a web design that provides you with todays web requirements. You want to manage your content, no problem. Don’t tell me… you want to add Twitter, Google+ and Facebook links too? Consider it done! 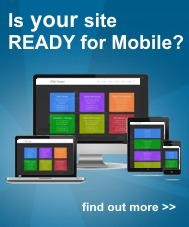 Whatever you want from your site, it is your site afterall. Then get in touch and tell us now. Having provided web designs for ecommerce, blogs, finance, garages, personal profiles, hobby sites, holiday cottage bookings and many more. We can’t wait to hear how we can help you. We can also offer help and advice on the ecommerce software Magento. If you are struggling to get to grips with this very powerful platform, then get in touch or if you need help sourcing a Magento Hosting Provider , we may be able to point you in the right direction.